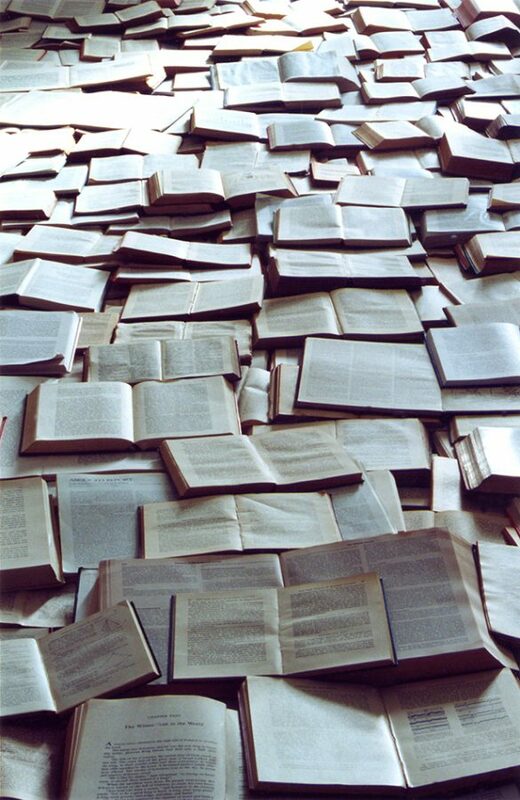 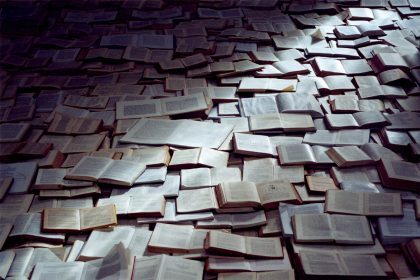 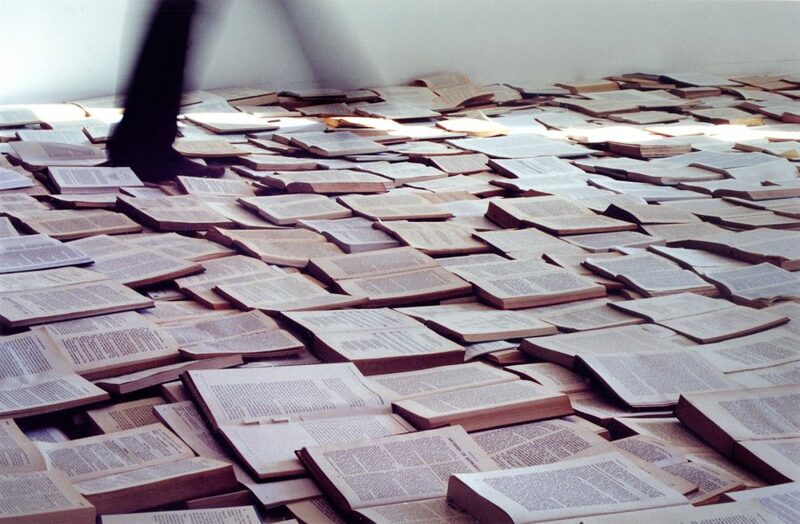 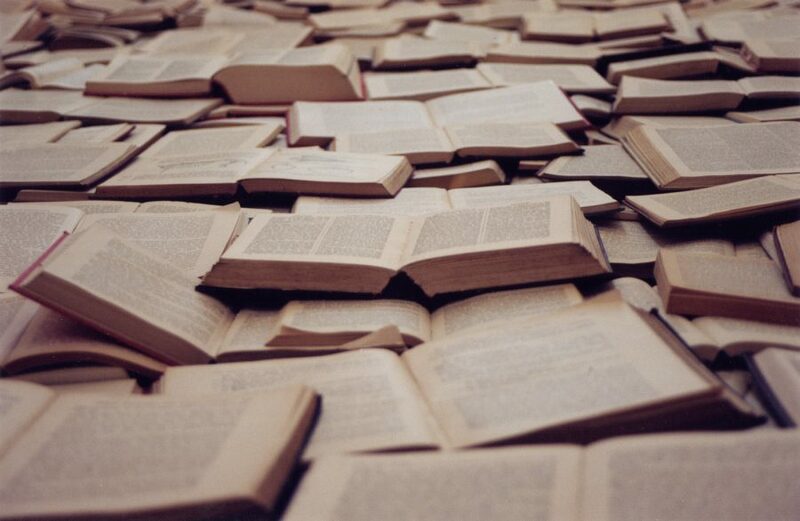 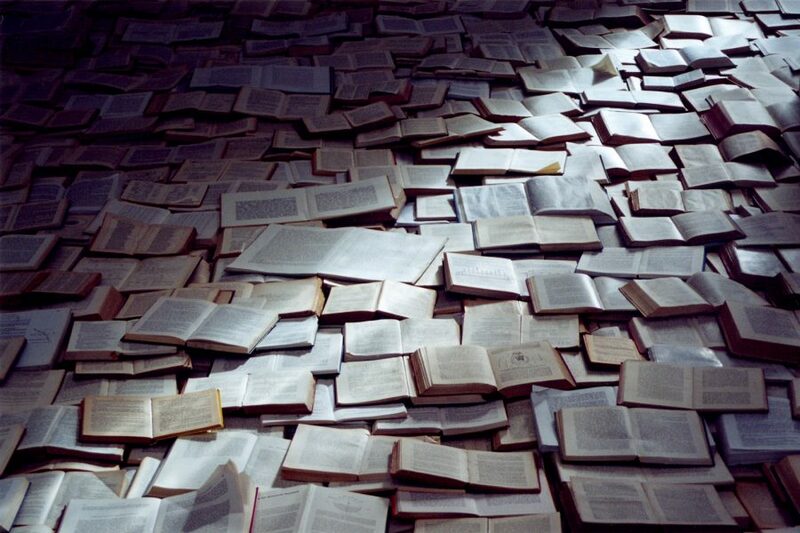 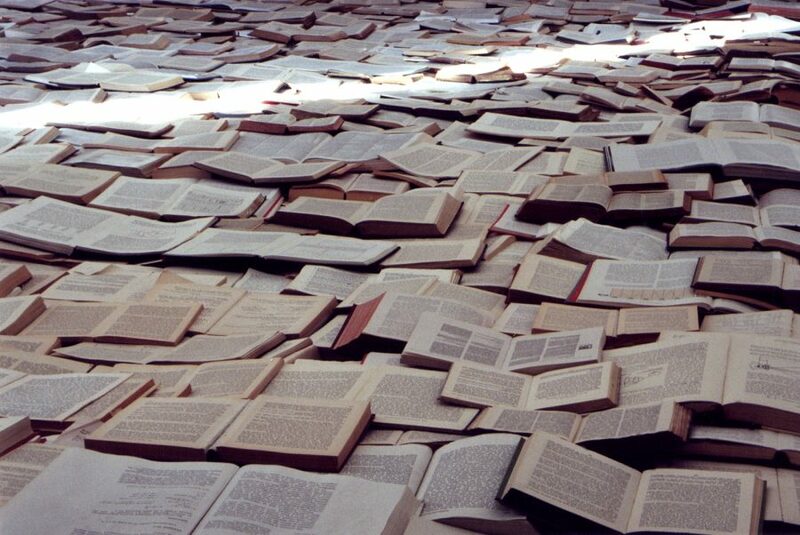 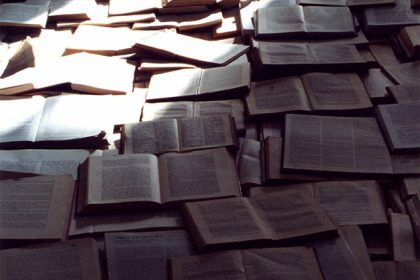 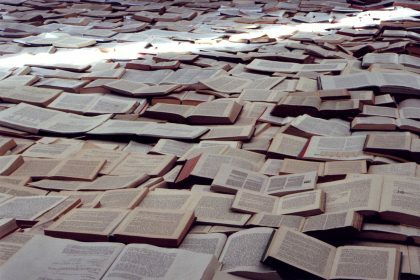 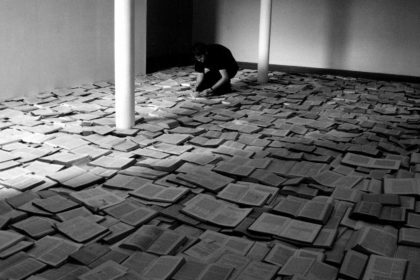 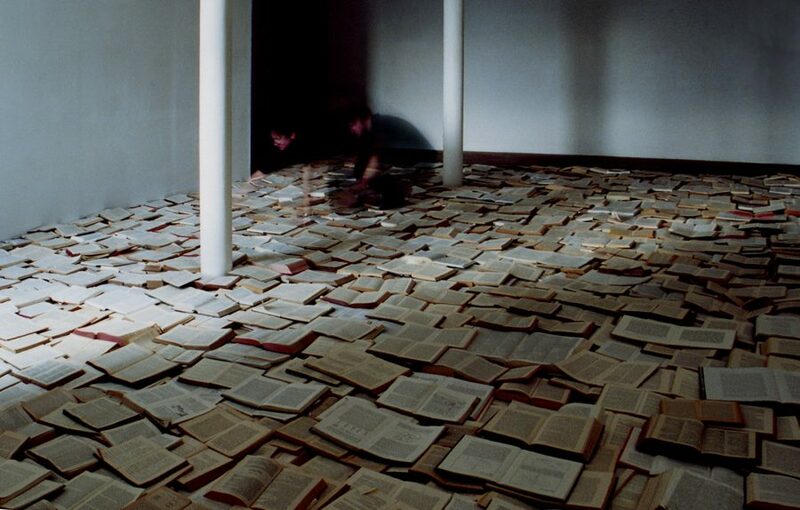 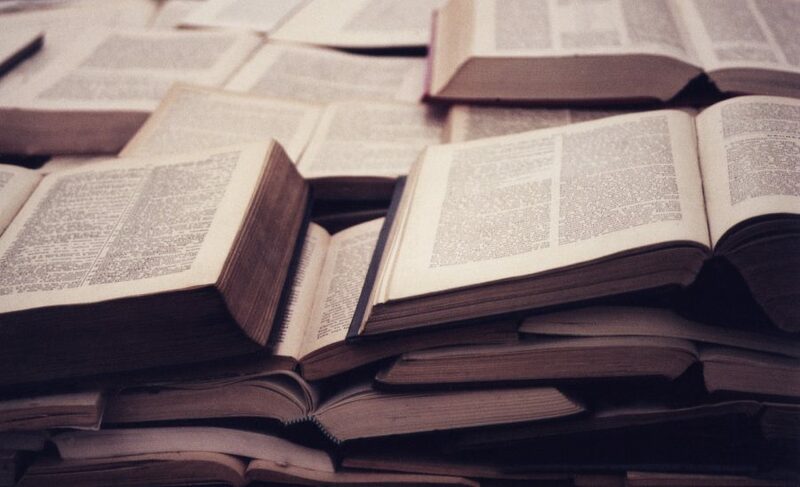 ‘Drift’ an installation of over 3000 used and discarded books, open to the feet of the visitors to the gallery. 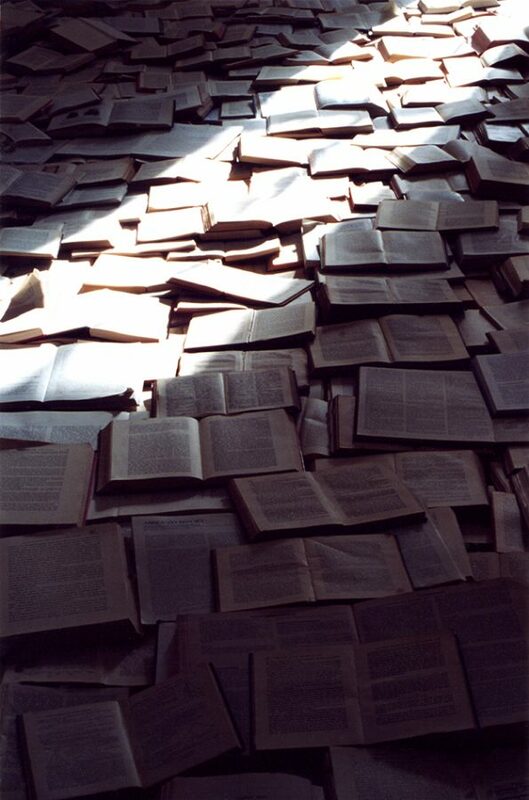 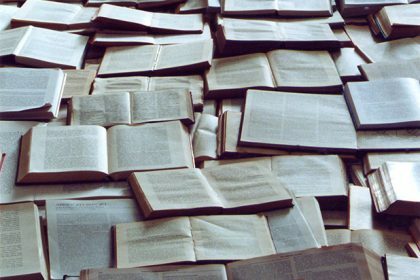 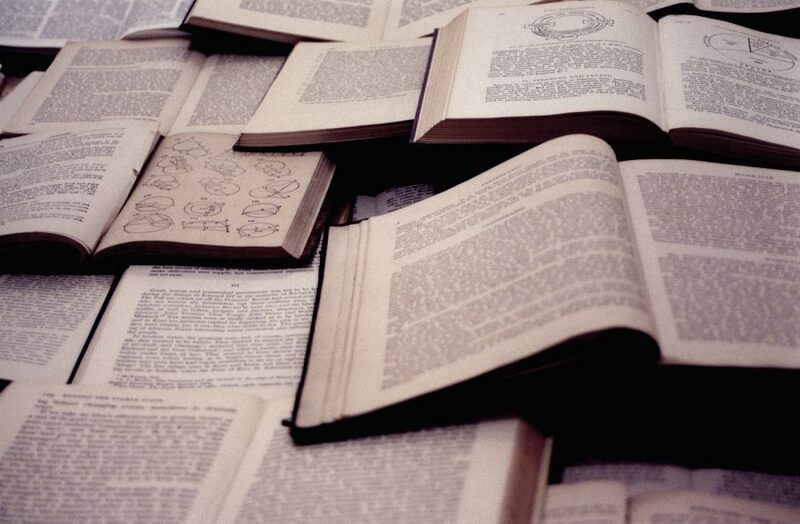 the work sought to challenge our pre-conceived notions regarding information and knowledge, using books to symbolize our sometime blind acceptance of the written, academic, scientific and religious word. 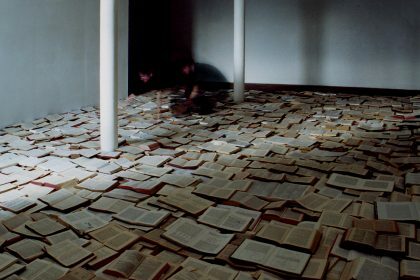 Exhibited during 1998 in ‘Pause’, Winchester, Hampshire, and ‘EX-LIBRIS’, Axiom Gallery, Cheltenham. 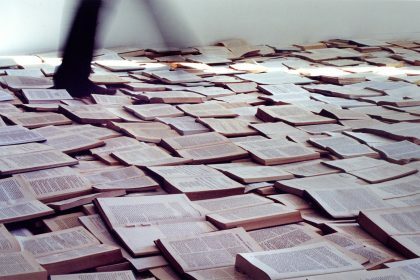 In 1999 at the ‘Ida Branson Bequest Exhibition’, Atkinson Gallery, Somerset, and also as a Solo installation at the Mafuji Gallery, London, from 26th Oct – 11th Nov, 2000.